Rooting you phone is something that allows you direct access to the “roots” of your phone. This means being able to install custom ROMs, applications, get access to system apps and so on. 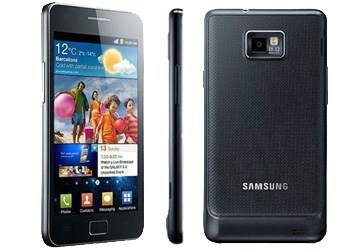 Developers that work with Android versions have come up with a rooting package for your Samsung Galaxy S2 that run Android 4.0.4 ICS version XWLPO and version XXLQ5. If you want to root your Galaxy S2 using this tutorial you have to make sure that your phone is running version XWLPO or XXLQ5. To do this you can go to Settings, About Phone and Firmware version. Also note that this rooting method is only working for the Galaxy S2 I9100 version (Settings,About Device and Model Number). So if your phone has another model number you should not proceed any further. Thanks to XDA developer user Chainfire you are now able to root your Galaxy S2 with CF-Root which also includes ClockworkMod. There are also other rooting methods such as installing a pre-rooted firmware, like you can do to root Galaxy Note 3. Before actually proceeding with the rooting you should know a few things. The process of rooting is not a 100% safe one. This means there is the risk of bricking the device. you will proceed on your own risk as we cannot be held responsible for any damage. In order to be covered in case things go wrong you should backup your personal files from your Galaxy S2 device. Also you should know that once the phone is rooted you cannot use the warranty anymore unless you update back to the official XWLPO or XXLQ5 version. You also have to turn on USB Debugging by going to Settings, Applications, Development, USB debugging. How to root Galaxy S2? Step1: Download Odin3_v3.04.zip from the provided link. Unzip the file. Step2: Download CF-Root-SGS2_XX_OXA_LQ5-v5.6-CWM5.zip from the provided link. Unzip the file. Step3: Make sure your SGS 2 is not connected to computer via USB and switch it off. Step4: Start Odin 3 v3.04. Step5: Start the phone in Download Mode (Hold Volume down, Center button and Power Button simultaneously). Step6: Plug the SGS2 to the USB and computer. Step7: Look for A yellow indicator in the ID:Com section that confirms that all necessary drivers are installed on your computer. (If the yellow indicator doesn’t switch on, you will need to install all USB drivers on your computer and also to check Samsung KIES option in the Setings, Wireless &Networks, USB Setting. Step8: Press the PDA button. Select CF-Root-SGS2_XX_OXA_LQ5-v5.6-CWM5.zip. Press START. This will launch the update. at the end the phone should reboot. Don’t worry if this takes longer than a normal reboot, that’s how it should be. If your phone gets stuck during the update procedure, pull off the battery, remove the cache from recovery mode and restart the entire process. You have now rooted your Galaxy S2 which is ready to use!